Heenal Raichura is a huge Bollywood fan, by her own confession. She loves to travel and has trekked to the Everest Base Camp in Nepal. She’s even performed in a dance sequence for a mainstream Hindi film. But what really sets this 22-year-old apart from any other British youngster is the fact that she is the country’s youngest doctor. She attended medical school at the age of 16 and graduated earlier this year to begin her career as a junior doctor at the University College London Hospital, UK. In an e-mail interview with Shifra Menezes, she shares what the journey has been like, what this success means to her, and what her future plans are. Being scientific-minded and inquisitive from a very young age, to be honest, all I remember wanting to become is a doctor. My parents tell me when I was very young I did not have any medical toys to play with, but I would put my head against their chests to listen to their hearts. Moreover, I consistently received encouragement from school teachers who recommended me for such a career. Nobody in my family, immediate or extended, is a doctor – this certainly added to the appeal of entering this field. I think a career in Medicine for me is the right balance of applying scientific knowledge to practical situations, having variety within the job, and being a challenge. I thrive upon challenge. How did it feel to know that you are Britain’s youngest doctor? It’s hard to describe. It’s not something I think about all the time, but when it is brought to my attention, I still find it quite unbelievable. However, countless emails, phone calls and texts tell me of this so-called “success”. The responses I am continuing to receive from people are overwhelming, yet extremely humbling. It burns a fire within me to achieve more. I am grateful to God that I have the opportunity to be a positive role model. You attended university at the age of 16, was it difficult at such a young age? Were there any challenges you faced? My family and I encountered immense difficulty in securing me a place in secondary school when I was 9 years of age, as the normal age of entry is 11 years. Although I had completed primary school, and the natural step was to continue my education in secondary school, the strict age policy was an obstacle that my parents worked hard to overcome. Trying to gain admission into medical school at the age of 16 was again a testing time for me and my family. Medical schools were reluctant to accept me because of their strict guidelines on the minimum age requirements of entry (18 years). Being offered to read Medicine at St. George’s Medical School, University of London, in 2002 was the fruitful result of our efforts. Once I was in medical school, although I was only 16 years old and my peers were at least 18 years old, I did not find it particularly difficult. Since I was 8 I had studied with students two years elder to me, so that was not new. And as for the Medicine course itself, I admit that undertaking a MBBS degree is demanding and requires hard work. But in comparison to other medical students, I do not feel that I had to work considerably harder than the next medical student. If sometimes I did work harder, it would be purely out of interest for the subject. Being only 22, have you found your age to be an impediment at work? No, not at all! I do not think that my age affects my competence as a Doctor at any level. I think I am mature enough to realise the responsibilities associated with my work and my duty to the public. If anything, I think my age provides me with the enthusiasm to learn more and to aim to provide the best possible care for my patients. At the age of 22, I am neither tired of life… nor medicine! My family consists of my parents, Nalin and Shobhna Raichura, and my elder sister, Sonia Raichura. My grandparents migrated from Gujarat in India to East Africa. So, although of Indian origin, my father was born in Uganda and he grew up in Kenya, and my mother was born and brought up in Tanzania. My parents met and got married in the UK. My parents have their own business and my sister Sonia (aged 25) is a trainee Actuary. We are very close as a family and try to spend as much time as possible together. My family is the centre of my world. They have a tremendous hand in all my achievements. My family has been a great strength and support to me. The principles and values they have instilled in me largely shape the person I am today. My parents have never placed undue pressures on me or my sister. Although in our household it has always been maintained that education is a priority, my parents have continually encouraged us to participate in as many activities that we would like. They have taught us to be all-rounders and to learn as many things in life as possible. My family guides me in the right direction when I am unsure and indecisive. They motivate me and provide me with confidence and security – without them I would be nowhere. Lastly, my family reminds of the reasons I work so hard. I have always lived in the UK – I was born and brought up in London. I did my schooling and degree in London too. Tell us a bit about your educational career. My education began when I entered primary school at the normal age of four years. My parents tell me that I used to come home and say that I was getting bored in class because I found the work too easy. I would also tell them that “I was the teacher today”, when the teacher would ask me to look after and teach certain students of the class. When I was in class 3, by the recommendations of teachers I was put forward two classes and was put into class 5. So at the age of eight, I was studying in a classroom alongside children that were 10 years old. I continued with that class and finished primary school at nine. After encountering great difficulty, due to strict minimum age policies, I gained admission into secondary school at the age of nine (normal age being 11). After becoming UK’s youngest child to enter secondary school, I went on to achieve GCSEs in 11 subjects at the age of 14. Thereafter, I attained A Levels in five subjects at 16 years of age. As a child I remember genuinely being very interested in my studies. I was highly inquisitive and took pride in gaining general knowledge and excelling at my school work. However I was definitely not a complete bookworm – I enjoyed various activities besides studying. But yes, those activities came after my studies. My extra-curricular activities have always been important to me. Dancing is a passion. I have trained in Kathak (Indian Classical Dance) with Smt Shama Bhate in Pune, India. Moreover, I have choreographed and danced in several charity shows at university. Recently, along with my sister Sonia, I participated in a dance sequence in a Bollywood film being shot in London. The film, yet to be titled, stars Saif Ali Khan and Deepika Padukone and is being directed by award-winning director Imtiaz Ali (of Jab We Met). This was an amazing experience for a Bollywood-crazed fan like myself! I enjoy playing sports – my favourites being squash, badminton and table-tennis. I play the violin and have received training in Indian (Hindustani) Classical Singing from Smt Bind Shah in Pune, India. Travelling is something I enjoy very much – I have visited Europe, East Africa, USA, Canada, UAE, India and Nepal. During my stay in Nepal, I trekked to Everest Base Camp. An awesome experience: it was a life-long dream come true! Lastly give me a good Bollywood film to watch with my family or friends, and I’ll be kept well entertained! What are you currently doing – education-wise, career-wise? I have recently (from August 6) started work as a junior doctor at the University College London Hospital (London, UK). I shall be working here for one year. I am currently in the General Medicine Department for four months, after which I will do a Trauma & Orthopaedics rotation for four months, and then finally will spend four months in Accident & Emergency. After two years as a junior doctor, I shall take the relevant examinations to enter the specialisation of my choice. Up until very recently, my main goal in life was to become a doctor. Now I have achieved that, my ambition for the future as a doctor is somewhat unclear at the moment. As a junior doctor, I shall have two years to explore the medical specialities to find the field that I shall be best suited to. Therefore, my ambition would be to excel in my chosen speciality and have fun while I do so! But yes, I am a dreamer and so have many dreams – academic and non-academic. I just have not made up my mind yet as to which one I am going to chase after right now! Any advice for aspiring doctors out there? Do your research: talk to GPs, surgeons, medical students and hospital doctors — senior and junior. Be aware of the current, evolving issues surrounding the field. Develop a thick skin. Be determined and focused. Remind yourself often why you decided to tread your chosen path. And finally, refuse to let anyone rob you of your spirit! 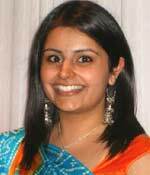 This entry was posted in Uncategorized and tagged britain's youngest doctor, Heenal Raichura, medical school in U.K, outstanding medical student in britain, outstanding student of indian origin, United Kingdom, youngest school student in U.k.. Bookmark the permalink.